An all-too-common refrain uttered by development professionals in the final years of a campaign is: “We’ve picked all the low-hanging fruit.” When gift officers believe they lack enough qualified donors to reach their campaign goals, prospect researchers are often tasked with adding more prospects to the pipeline in a relatively short period of time. Some strategies for finding more prospects may include: identifying which campaign donors might be willing to make a second campaign pledge, asking trustees and other prominent advocates to help solicit their wealthiest friends, and developing proposals for every signatory of The Giving Pledge. Employing such tactics — though better than doing nothing — is typically a sign of last-ditch desperation rather than being a component of a comprehensive, long-term strategy. Indeed, with proper planning, an organization won’t be reduced to begging campaign donors to make auxiliary campaign gifts. Returning to our low-hanging fruit scenario, instead of making desperate attempts to reach high-hanging fruit at the last minute, it would be wiser to simply plant more trees in advance. The start of a capital campaign presents an opportunity for planting more of these proverbial trees. There is no other time in the life cycle of an advancement office when executive leadership is more receptive to supporting and funding initiatives that will provide a significant return on investment. There is also no other time when it is so critical to ensure that all aspects of prospect development — including proactive identification efforts, reactive research reports, portfolio management protocols, and data management and analytics — are as efficient and effective as possible. Seemingly trivial errors, such as poor data-entry standards or lax prospect management policies, will add up over the course of a capital campaign to produce disastrous results. Just as airline pilots who miscalculate their flight path by a single degree can end up many miles off course, prospect development professionals who fail to uphold best practices can inadvertently hurt their organization’s efforts to reach their goal on schedule. Thankfully, implementing a set of basic principles can position your organization for success. Prospect researchers are quite familiar with the importance of accurate information. It is the very reason why the research industry exists. Regardless of whether they’re confirming all of a prospect’s charitable gifts or determining the current value of an insider’s stock holdings, prospect researchers are particularly skilled at finding critical information on the prospects their organizations need. It is equally important to record critical information on your own organization’s actions, particularly those made by frontline fundraisers and prospect researchers. Every visit with a potential donor, every discovery of a new major gift prospect and every assignment of a constituent needs to be recorded, along with details relevant to each action. Recording this data now will provide valuable information to help guide decisions in the future. At most nonprofits, time is an extremely scarce resource. It is easy for genuinely well-intentioned advancement staff to shirk their duties in recording their actions, as they may believe that they have more urgent priorities. The truth is that recording your development office’s actions is a priority, albeit an unglamorous one. As the rise of Facebook has proven, personal data is at the core of a multi-billion-dollar industry. Yet the only way to have such valuable information on your advancement office’s processes is to record them. For major gift officers, recording contact reports is key. Gift officers can learn more in a five-minute conversation with a prospect than the best researchers can obtain from hours of searching the most complex databases. Such invaluable information can be lost, however, if gift officers don’t bother to record the details of their meetings with prospects. Similarly, it’s crucial for frontline fundraisers to record their actions on prospects so that each prospect’s moves through the solicitation cycle (or lack thereof) are properly tracked. “I just keep everything in my head” is an unacceptable approach for a gift officer, particularly given the rate of turnover in the development industry. If a gift officer doesn’t record actions or contact reports, and then leaves your organization for another job, your organization could be deprived of valuable institutional knowledge on hundreds of high-net-worth individuals. For research teams, there are a variety of datasets worth recording. What percentage of revenue comes from prospects that were first identified by research? What sources yield the greatest proportion of major gift donors? Is there a correlation between prospects that have received detailed research reports and prospects that have given high-end gifts? How many newly identified prospects actually advance to the solicitation stage? By documenting what sources were used for research, what types of reports were prepared for whom, and which researchers conducted which actions, you can gain insights regarding which processes produce the greatest results. With such information in hand, you can then use that information to craft strategies to increase the efficiency of your limited time and position your organization for greater success. Ensuring that development staff abide by these principles begins with leadership. It is important for managers and directors to communicate the importance of data management to their teams, and to incorporate data-entry requirements into their teams’ metrics. Some major gift directors may choose to not award credit for a visit unless a gift officer records a contact report with a week of the visit. Some research directors may set minimum requirements for the number of hours that should be devoted to proactive research each week. The precise metrics and data entry requirements will vary for each department in each organization, but it is essential for leaders to review their processes with a critical eye and identify: (1) which internal datasets have been helpful for making informed strategic decisions, and (2) the data that would be helpful to have that is not currently recorded within the organization. With an understanding of those objectives, managers and directors can establish protocols for their teams to follow. To fail to do so is to effectively throw away money twice: first from failing to record information that would otherwise be expensive to acquire, and second from missing out on potential gifts that could only be raised by an efficient, high-performance development team. To start, it is essential for any capital campaign to have development plans and gift pyramids projecting how many donations need to be made at each rating level for the organization to reach its goal. Regardless of whether the prospect development team was involved in the creation of such plans, or whether they were established without input from researchers, it will still be the responsibility of research staff to identify enough prospects to fill each gift level outlined in the gift pyramid. A key thing to bear in mind is that the gift pyramid indicates how many gifts must be made at each giving level, and not how many prospects must be identified. Different organizations have different prospect needs. This seems like an obvious statement on the surface; a nonprofit attempting to raise $5 billion needs more prospects than a nonprofit attempting to raise $5 million. But even organizations with similar monetary goals may vary significantly in their ability to transform prospects into active donors. Two organizations with otherwise identical goals, resources and prospects may experience wildly different fundraising results depending on their ability to bring their prospects’ philanthropic potential to fruition. It is also important to know what proportion of newly identified prospects advance far enough to actually receive a solicitation visit. No matter how good a prospect looks on paper, it is no guarantee that they will be receptive to your organization’s attempts to cultivate a gift. Some prospects will only make gifts to charities they’ve already supported. Others might be alienated from making a gift due to something beyond the control of your advancement office, such as a university’s donor becoming outraged that their child was not admitted to the school. Whatever their reasons, many seemingly decent prospects will not advance to the solicitation stage. Knowing your institution’s average rate for moving prospects from the identification stage to an outright solicitation will give you a realistic assessment of how many prospects you truly need. Upon determining how many MG prospects are needed to reach the campaign goal, many researchers may initially find themselves panic-stricken by the scope of the work required for the campaign. Rather than succumb to a defeatist attitude, it is best to remember that the campaign can provide justification and funding for expanded operations. If the data suggests that the requisite amount of campaign research is more than can be realistically achieved with the current number of research professionals, then the data provides rationale for getting help. Hiring more staff is arguably the preferred option for increasing your department’s productivity, presuming that a charity’s leaders will authorize hiring more full-time employees. If hiring is not politically or financially viable, outsourcing work to an independent contractor may serve as a feasible alternative. Depending on the organization in question, it may also be possible to delegate work to short-term temps or allocate minor research duties to interns or students who can work seasonally. For some research shops, a combination of all of these possibilities may provide the optimal solution to fulfilling challenging obligations. The planning phase of a campaign also presents an opportunity to improve efficiency and streamline research reports. Some organizations may find that they’re producing multipage profiles that take hours to produce on prospects that may only need a biographical paragraph with a capacity rating estimate. Others may find that they’ve historically devoted 90-percent-plus of their available research resources to re-evaluating known prospects rather than proactively adding new prospects to the pipeline. Inefficiency is often born out of habit, and a campaign provides researchers with the opportunity to break out of the “but-we’ve-always-done-it-this-way” paradigm. Productivity and value — not mere tradition — should be what guide your approach to prospect development. New research tools can be just as important as hiring new research staff or streamlining processes. Invest in opportunities in which vendors can help your organization, such as conducting an electronic screening on your entire constituent base if one wasn’t conducted prior to the campaign. Consider new subscriptions that can help you to find more prospects or provide higher-quality reports on high-level donors. If executive leadership doubts the value of such expenditures, remind them of the considerable return on investment provided by research. It would be penny-wise and pound-foolish for a charity to abstain from investing an extra $50,000 in the research budget at the start of a campaign, only for that decision to cost the organization $5,000,000 in lost revenue from affluent constituents who fail to make major gifts because they were never identified, researched or effectively managed. Step 4: Managed Prospects? More Profits! Poor portfolio management policies account for a considerable amount of waste and inefficiency in the development industry today. Ultimately, it does not matter how robust and insightful efforts are to evaluate new prospects if those prospects are poorly managed. Prospect identification and portfolio management work best in tandem: The former ensures that quality prospects are regularly added to the pipeline, while the latter ensures that those prospects move quickly and properly through the solicitation cycle. One obstacle to proper portfolio management is the tendency of some gift officers to hoard prospects. The motivation behind such a tendency is often rooted in fear; a gift officer is concerned about lacking enough prospects, so that gift officer keeps extra prospects in their portfolios in reserve. The problem with this course of action is that it quickly leads to unmanageable portfolios. It is impossible for a gift officer to effectively manage a portfolio consisting of 400 major gift prospects, so it’s inevitable that some prospects in unwieldy portfolios will receive impersonal annual appeal letters in lieu of personalized visits and cultivation efforts. In turn, such prospects will provide the charity with as much attention as they have received. At many organizations, it is essential for executive leadership to recognize the inherent costs of poor portfolio management, and for leaders to agree that an enforceable portfolio management policy is needed. While gift officers may be sympathetic to a prospect researcher who is troubled by prospects being neglected in unmanaged portfolios, they’ll take the matter more seriously if the president of the organization establishes portfolio management standards with which the officers must comply. Setting a maximum limit on the number of prospects that can be assigned to portfolios, for example, can mitigate prospect hoarding. By restricting the number of prospects that can be assigned to a gift officer — a limit of 150 works nicely for some major gift programs; others insist they can manage up to 200 — a charity can ensure that prospects aren’t under-cultivated simply due to a gift officer’s concern about being able to reach an annual or campaign goal. Every prospect that doesn’t receive the attention they deserve comes at a real cost to the organization. If a frontline fundraiser lacks the time to properly cultivate a relationship with a prospect, that fundraiser should transfer assignment of the prospect to someone who can. And if researchers are continuously adding quality prospects to the pipeline, the gift officer’s concern about lacking good prospects will disappear. Executive leadership may wish to establish policies that incentivize forward movement among assigned prospects. Protocols may include a time limit for prospect managers to qualify their newly assigned constituents; perhaps no more than three or six months. Standards might be set regarding the criteria needed to reassign or disqualify a prospect from major giving. In some cases, “sunsetting” policies may be established requiring a gift officer to move a prospect through each stage of the solicitation cycle within a set period of time or risk having the prospect assigned to another gift officer. At some shops, such proposals may seem draconian, but they may be necessary to prevent good prospects from being poorly managed at some other shops. A general expectation is that a quality prospect should be able to move from the identification stage to the solicitation stage within 18 to 24 months. If a gift officer has been hoarding the same prospect for five years with no gifts to show for it, something needs to change. Conducting regular reviews can also help to spot anomalies in portfolios and make recommendations on future moves and proposals. Prospect development professionals can help gift officers in such meetings by offering friendly reminders about prospects that appear to have stalled in their way through the solicitation cycle. The reasons for a prospect’s apparent inertia may vary. Perhaps the gift officer needs supplemental research to help build a rapport with the prospect. Perhaps the prospect should be transferred to a different gift officer. Perhaps the prospect is not philanthropic, and should be disqualified from major giving. In any event, a discussion between a gift officer and prospect development professional can help determine the best way to utilize the prospect’s potential. Just as gift officers’ progress with prospects should be routinely reviewed, so should the prospect development department’s impact on the bottom line. If your institution’s revenue has fallen below the trajectory specified in the campaign development plan, explore strategies for increasing revenue and determine what can be done differently to enhance fundraising efforts. If your organization is on track or even ahead of schedule for the campaign, an honest review of your processes can help identify techniques to enhance further, as well as target antiquated processes to possibly abandon. It is helpful to review the dividends on your work on an annual basis. What percentage of newly identified prospects are currently under management? Was one source for finding new prospects considerably more valuable than others, and could it be leveraged more in the future? Are the needs of the campaign gift pyramid fulfilled? If not, what needs to be done to close the gap as quickly as possible? Are there any policies or protocols that don’t provide measurable value to the organization or its staff? Are there processes working extremely well in one area that should be replicated elsewhere? Evaluating your work is particularly important as the campaign moves into the public phase, and can even be helpful after the campaign’s conclusion to determine opportunities for improvement beyond the campaign. At too many nonprofit organizations, prospect development is perceived as an auxiliary support service. In truth, prospect development is a critical component of any successful capital campaign. Discovering and effectively managing prospects is not a luxury option reserved for elite organizations, but rather a best practice with universal value to nonprofit entities of all sizes. By securing both the financial and political capital to make greater investments in prospect development, researchers can help their organizations to fully achieve their campaign goals. 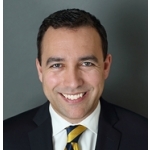 Ian T. Wells is the president of Ian T. Wells & Associates, a consulting firm providing research and advisory services to non-profit organizations in New England and the Mid-Atlantic states. He also serves as vice president of the New England Development Research Association (NEDRA), and is co-chairman of NEDRA’s Sponsorship Committee. Ian was previously the director of prospect development for Boston College, and prior to that, served as associate director of development, prospect research at Massachusetts General Hospital. He began his career at Boston Children’s Hospital. Want to learn more? Download Wish I Knew Then, What I Know Now: Managing a Capital Campaign Full of Firsts from Apra University, a session about a first-time campaign manager’s experience managing the first capital campaign for a small arts organization.